Haryana Staff Selection Commission (HSSC) has issued a recruitment notification to recruit Junior Engineer posts. Candidates who are eligible and interested them can apply online mode by visiting official site of HSSC before last date. 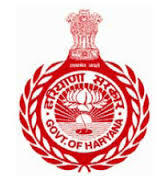 Candidates also check other details related to HSSC Junior Engineer (JE) latest govt gobs in Haryana, application fee, admit card download, exam date and more details are given below.